This activity requires Jelly Belly's Bean Boozled Jelly Beans. This document can be edited to reflect any edition. Engage your students in a probability experiment that they won't forget. 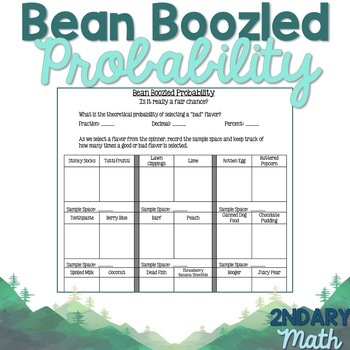 Students predict the probability of getting a "bad" flavor (theoretical probability) and then test this probability by taste-testing a box of Jelly Belly's Bean Boozled Jelly Beans (empirical/experimental probability). Students use this document to keep track of their data and make final calculations.